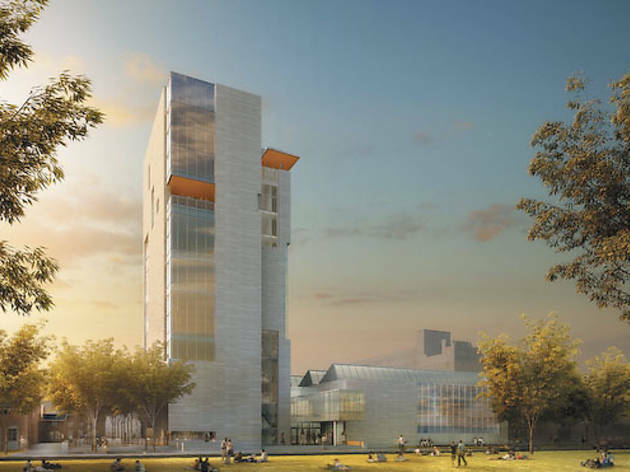 Mansueto Library, the Logan Center for the Arts, Cuneo Hall and the Vertical Campus are among Chicago universities’ new projects. 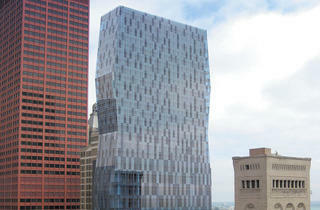 Photograph: VOA AssociatesRendering of Roosevelt University Vertical Campus, 2011. 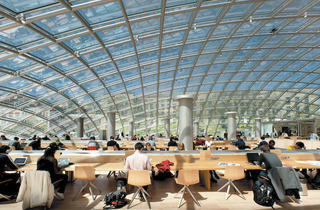 Photograph: Jason SmithInterior of the Mansueto Library at the University of Chicago, 2011. Photograph: Tod Williams Billie Tsien ArchitectsRendering of the Reva and David Logan Center for the Arts at the University of Chicago, 2011. 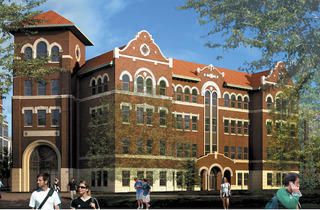 Photograph: Courtesy of Loyola UniversityRendering of Cuneo Hall at Loyola University. On a sunny morning in May, I stood in the basement of the University of Chicago’s Mansueto Library watching one of our future robot overlords. The slim, yellow computerized crane that I observed gliding among the shelves is part of the library’s automated storage and retrieval system. Because it requires just one-seventh the space of regular stacks, according to U. of C., the ASRS enables the library to fit 3.5 million volumes downstairs—and it retrieves materials within minutes. Mansueto Library isn’t the only notable project to be launched or completed on local campuses this year. In April, Metra opened the Lovana S. “Lou” Jones/Bronzeville station at IIT, on 35th Street. 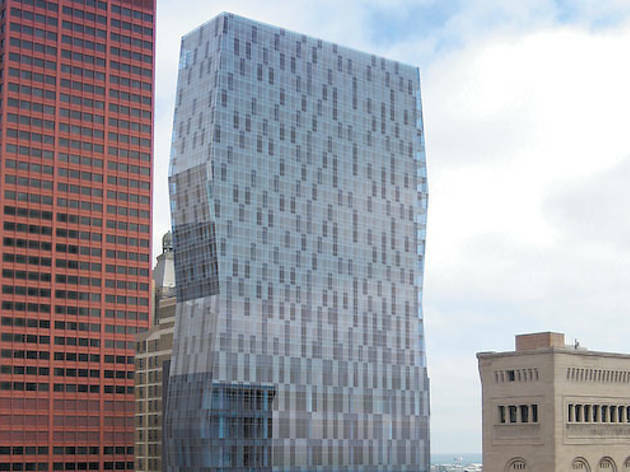 Though it was designed by Skidmore, Owings and Merrill, the project fell victim to Metra’s cost cutting, and Chicago Tribune critic Blair Kamin called it “grim” in his review. But IIT spokesman Evan Venie assures me the station has eased commutes for students and staff. 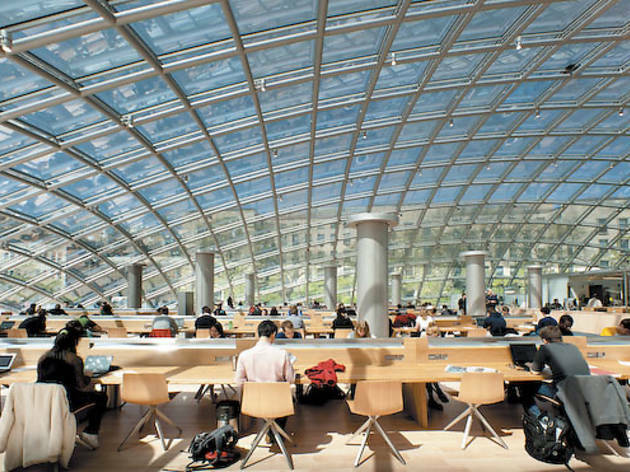 Designed by Helmut Jahn and partly funded by—full disclosure—TOC owner Joe Mansueto, this spectacular building can be accessed only through the university’s Regenstein Library. Above ground, an 8,000-square-foot glass-domed reading room, outfitted with handsome wooden furniture, allows 180 visitors to soak up the sun as they study or work on their laptops. During my visit, I wondered whether the ASRS would prevent patrons from discovering materials serendipitously, as they browse the stacks. Library director Judith Nadler explains that the Mansueto specializes in materials that aren’t publicly displayed anyway. 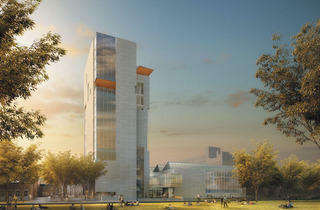 Designed by New York firm Tod Williams Billie Tsien Architects, this 180,000-square-foot building will open in spring 2012. The Logan Center’s amenities include two small theaters, a 474-seat performance hall, a gallery, a café, and classrooms, practice rooms, studios and editing labs for the U. of C.’s art, music, theater, film and digital-media students. When it’s finished in May 2012, this four-story, 70,000-square-foot academic building will resemble, from the outside, the oldest edifice on Loyola’s Lake Shore Campus: Dumbach Hall, completed in 1908. But inside, Cuneo will be modern enough to achieve LEED Gold certification, according to Kana Wibbenmeyer, Loyola’s associate vice president for facilities. Solomon Cordwell Buenz designed Cuneo to be 60 percent more energy-efficient than a comparable standard building, thanks to natural ventilation and daylight. 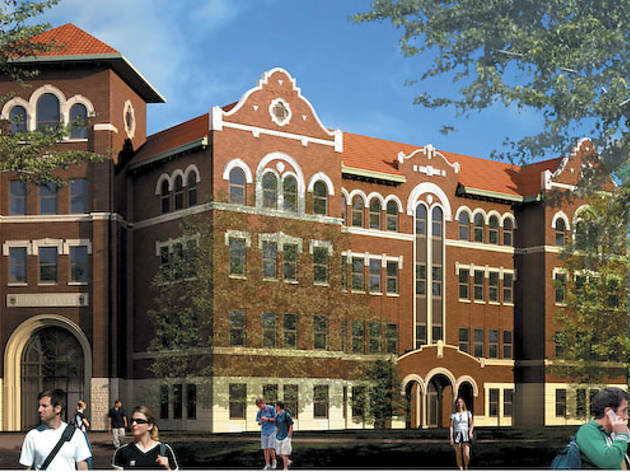 Though Cuneo will have air-conditioning and heating, Loyola hopes it won’t need either for at least 52 days each year. In 2009, the university decided that all new construction would be LEED-certified. Constantin Brâncusi’s Endless Column inspired the form of Roosevelt’s 32-story tower, VOA Associates senior vice president Jeffery Hrubec says, but his firm’s design also owes debts to artist Sol LeWitt and to Louis Sullivan, architect of the neighboring Auditorium Building. “It’s both exciting and terrifying to design next to something so historic,” Hrubec says. “You don’t want to copy it, but you don’t want to build something that will detract from it.” VOA will combine classrooms, labs, offices, a dormitory, a recreation center and a dining hall in its elegant tower, scheduled to be completed next spring.